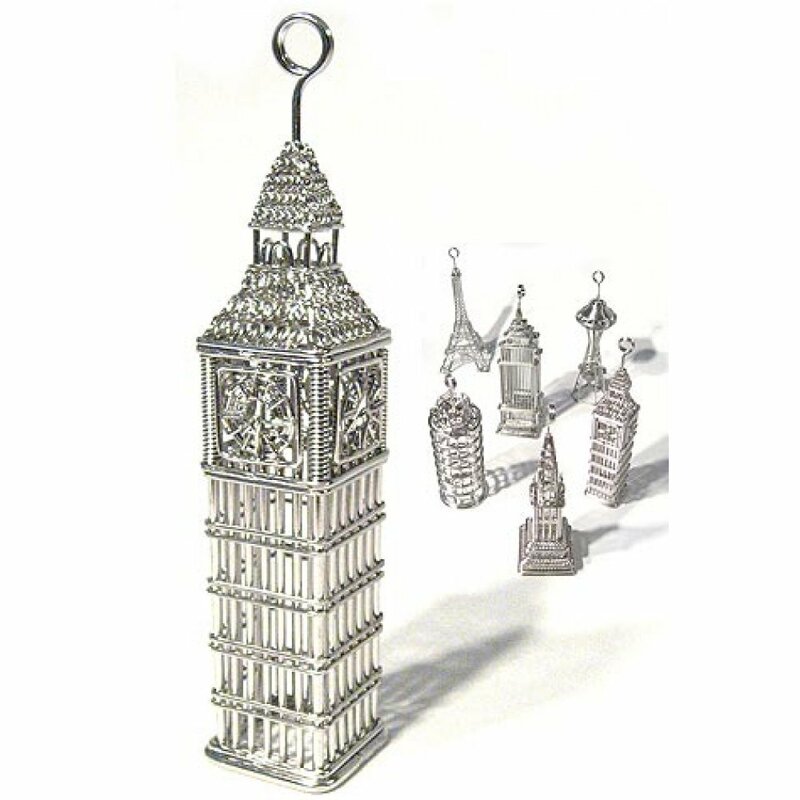 Hang this beautifully crafted Big Ben Tower ornament on your tree. 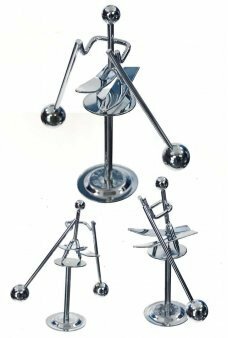 Our silver metal wire tower can also stand on your desk and hold business cards. 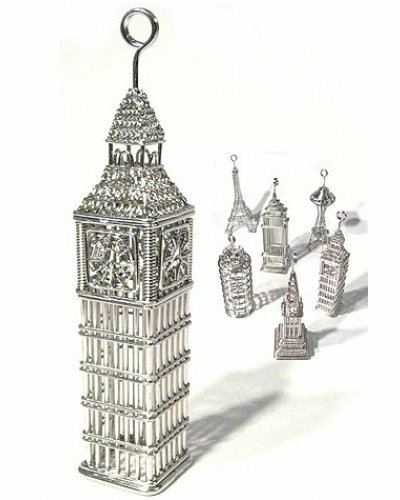 Dream about London with this delicate tin ornament. Imagine the familiar bells of this iconic English Landmark at the House of Parliament. Collect all 6 Tin Tower Ornaments from around the globe! The Robot Tank R1 explores new planets. He's a cousin of the famous dome headed R2 Robot. Wind-up hi..
Our tiny silver Snow Skier balances as he hangs on to his long poles and large skis. Just nudge the .. 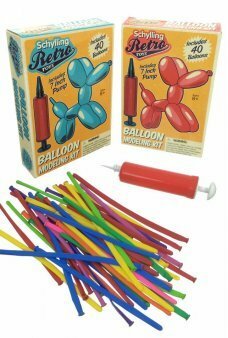 Twist long balloons into fun shapes and animals with our Balloon Modeling Kit, including: 40 colorfu..
Join the band with our shiny silver Trumpet Toy! 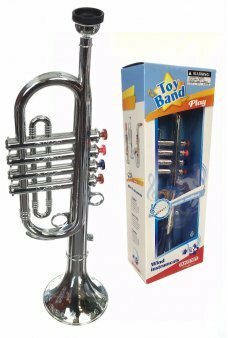 Play music at once without practice. 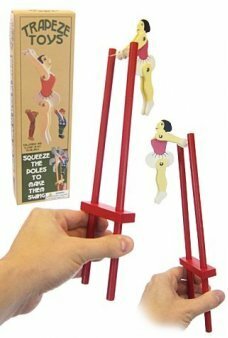 This att..
Our cute Ballerina does tricks on the flying trapeze! 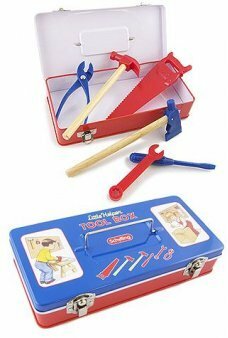 Just squeeze the poles to make the adorable gi..
Our classic Little Helper Tin Tool Box has the tools necessary to help Mommy or Daddy with home repa.. 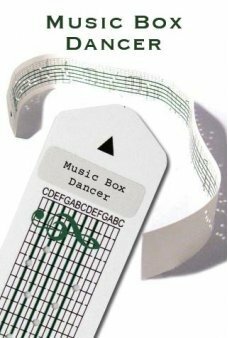 Play “Music Box Dancer” by Frank Mills with this Prepunched paper strip on our Music Box Kit. See o..
An adorable Pull String Shark! Pull the little fish to wind up the large shark and he kicks his fin..